This Dump-and-Bake Chicken Divan is an easier, faster version of the classic dinnertime favorite! 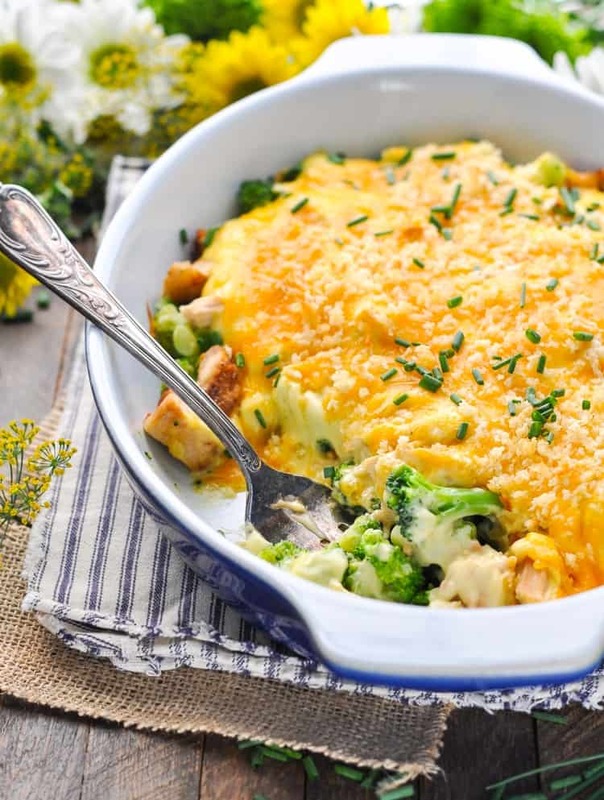 Broccoli and chicken are layered with a creamy, cheesy sauce and finished with a breadcrumb topping. 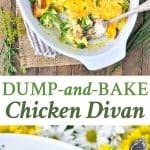 This Dump-and-Bake Chicken Divan is an easier, faster version of the classic dinnertime favorite! 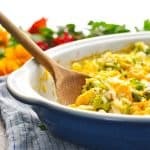 Broccoli and chicken are layered with a creamy, cheesy sauce and finished with a breadcrumb topping. It’s simple, it’s delicious, and it comes together in just minutes! If you haven’t noticed, I love a good challenge when it comes to the kitchen. And I’m not talking about the kind of “challenge” that involves complicated, multi-step gourmet recipes; hard-to-find ingredients; or disastrous messes that take longer to clean up than we spend eating the meal. Nope, I’m not a fan of those challenges. 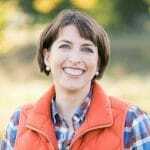 Instead, I much prefer to take a traditional recipe like Chicken Parmesan, Spaghetti and Meatballs, or Chicken Alfredo and turn it into a quick dump-and-bake dinner with no prep work. 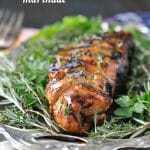 The key, however, is developing a faster recipe without sacrificing taste or quality. I’m happy to report that my latest creation — this Dump-and-Bake Chicken Divan — satisfies all of my toughest requirements: minimal prep-time and delicious, kid-approved flavor! 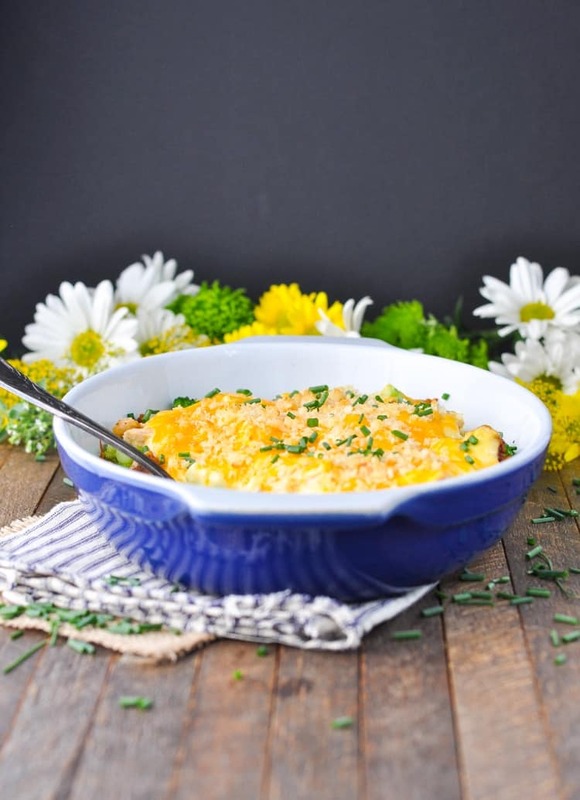 I’ve always thought of Chicken Divan as a retro Southern casserole. The type of dish that I grew up with, and the same type of recipe that Aunt Bee still shares with me today. So imagine my surprise when I looked at Wikipedia before typing this post and learned that the meal originated at the Divan Parisienne Restaurant at the Chatham Hotel in New York City back in the early twentieth century! New York City! 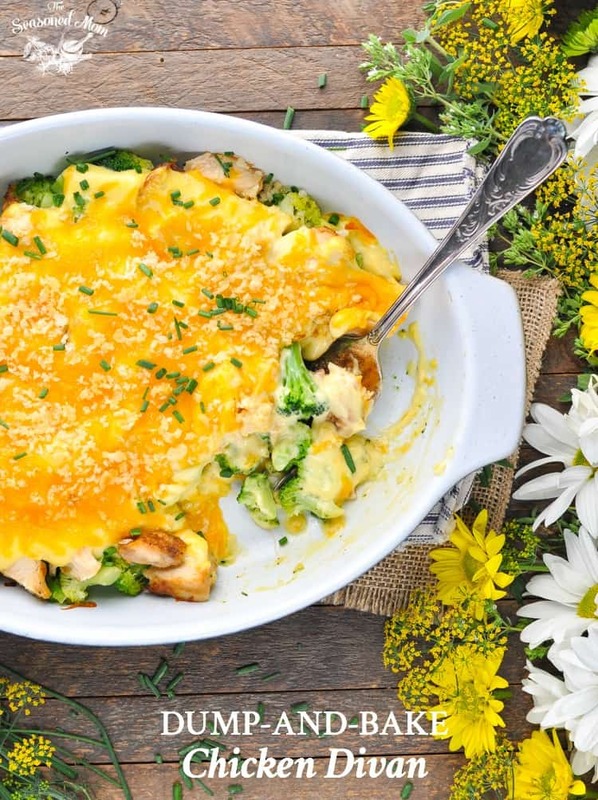 The authentic Chicken Divan is a casserole served with broccoli, almonds, and Mornay sauce. 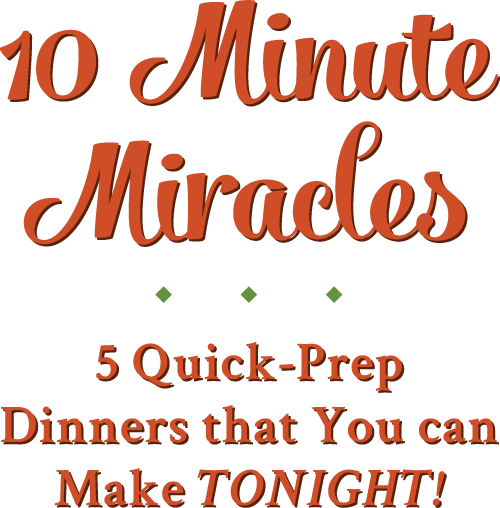 But hey, the sauce that you’ll find here (which I spike with a dash of white wine and lemon juice for extra flavor) is a much easier solution to get dinner on the table quickly (and that’s what I’m ALL about)! I hope that you love it as much as we do! Cooking for a Smaller Family? Cut all of the ingredients in half (for instance, use 2 cups of chicken, one 12-ounce package of broccoli florets, l can of soup, etc.) and bake the casserole in an 8-inch square dish. Cooking time remains the same. Want to Prep Ahead? 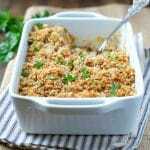 Assemble this casserole in advance and keep it covered in the refrigerator until ready to bake. It should be fine for up to 24 hours, or you can freeze it (before baking) for up to 3 months. Preheat oven to 350F (180C). Spray a 9 x 13-inch baking dish with cooking spray. Arrange chicken and broccoli in the bottom of the prepared dish. Stir together soup, mayonnaise, wine, and lemon juice. Pour over chicken. In a small bowl, stir together breadcrumbs and melted butter. Sprinkle on top. Bake, uncovered, for about 25-30 minutes (or until heated through). Previous Post: « End-of-Summer Ice Cream Cake Party Play Date! I’m right there with you, I love taking classic recipes and making them into an easier dish. 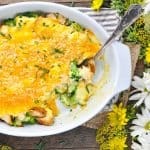 This chicken divan looks incredible, Blair! I love the ease of this recipe, and I know my husband would, too. I’ve got to try this! Thanks, Gayle! Easy is always best! Sounds like chicken DIVINE! Gonna have to try this asap, just roasted a whole chicken and this will be perfect for the shredded meat leftovers. Thank you! I tried the Doritos Taco dish the other night when I had the three Grandchildren spending the night-Camp Mamaw!!! Hi, Janet! So glad to hear that my favorite little ones approved of the Doritos casserole! 🙂 I know they had a blast at your sleepover! I made your Dump and Bake Chicken Divan yesterday and we are enjoying it for dinner tonight again. We really really thought it was yummy paired with a peach, strawberry, nectarine and watermelon salad. Thank you so much for posting the recipe. Happy August! Hi, Marina! Thank you so much for letting me know! I’m glad that you enjoyed it, and the salad that you prepared sounds AMAZING! Great idea! 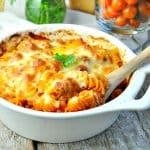 This looks so easy and so comforting, can’t wait to try it!